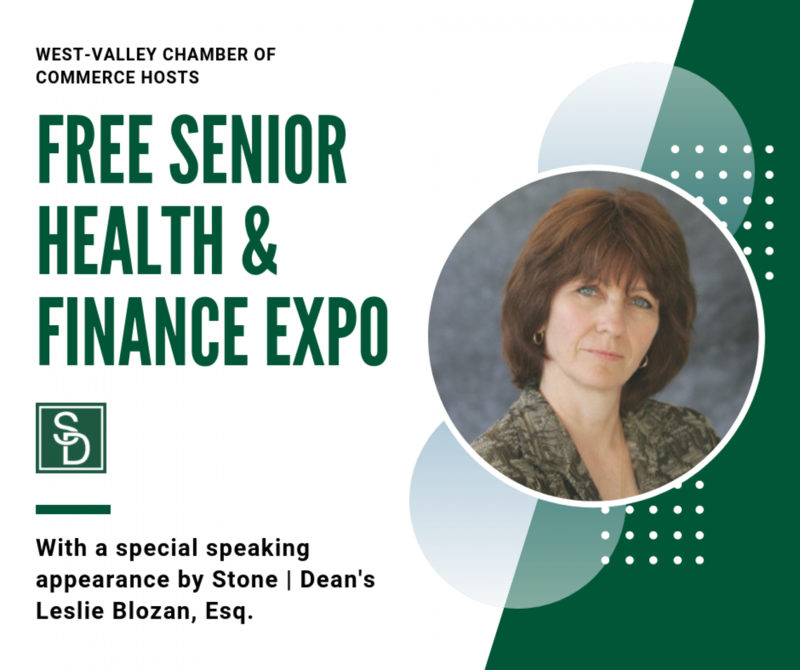 On Saturday, October 13, 2018, the West Valley-Warner Center Chamber of Commerce will sponsor a Health and Finance Expo, organized by the Valley Senior Resource Network. The Network is comprised of professionals in the adult and elder care field, including medical professionals, attorneys, financial planners, insurance brokers, real estate agents and lifestyle consultants. The Expo will be a one-stop opportunity for education and resources available in the West Valley. Our own Leslie Blozan will be speaking at 10:45 am, on the subject of “Hidden Dangers: How crooks, criminals and family members want to separate you from your money.” She will also participate in the noon panel discussion with legal and financial experts regarding important issues of asset protection and financial security. The Expo is from 10am to 3pm, at 6101 Owensmouth and its FREE! Click here to register now on Eventbrite.com, VSRN Expo 2018, or just walk in.